$15 burgers all night long! 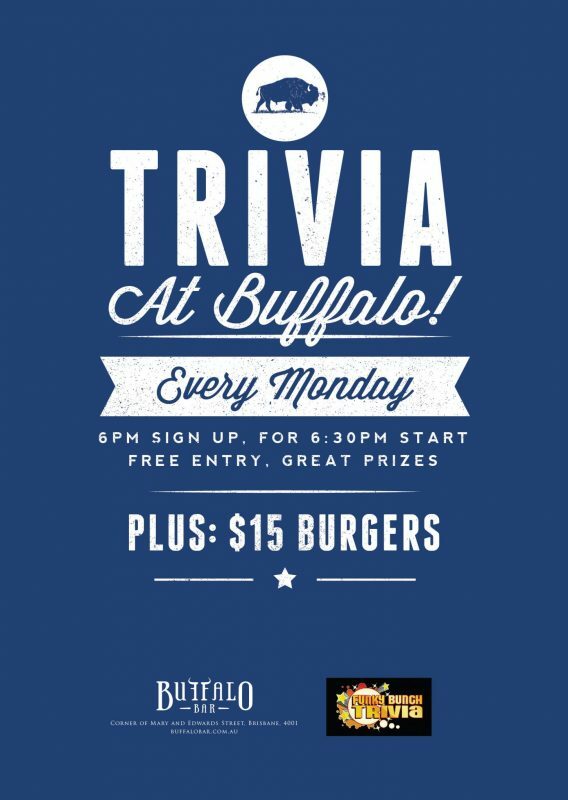 Monday trivia will be on a break between Monday 17th December to Sunday 10th February. Our first of 2019 will be Monday 11th February. See you quiz heads in 2019!